2 x $25 Vouchers. Only one voucher per visit. 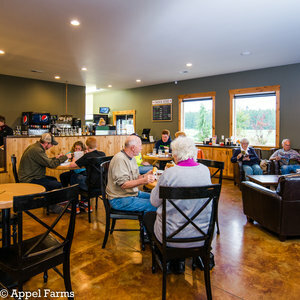 Appel Farms started with a young man’s dream to be a dairy farmer. That dream brought him from his home and family in Holland to a bright future in the US. 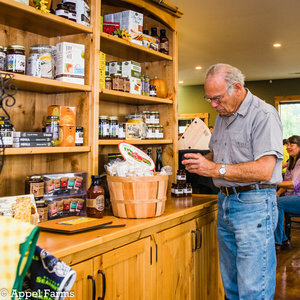 He established his dream farm in 1967 in Whatcom County and later began making cheese for friends and family. His hobby of cheesemaking blossomed and grew into the business it is today. Now two of his sons, with the help of their wives and children, carry on the farm and cheesemaking tradition. 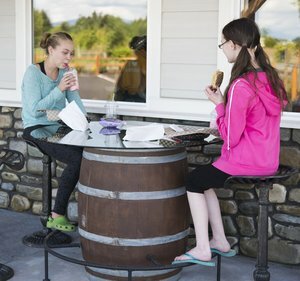 Based in Ferndale, Washington, our focus is making the highest quality farmstead artisan cheese. All our milk comes from our own dairy cows that we care for at the farm with our customer's needs in mind. We know that your health and well-being matters. We work hard to raise healthy cows in a healthy environment so that our cheese is the best it can possibly be.